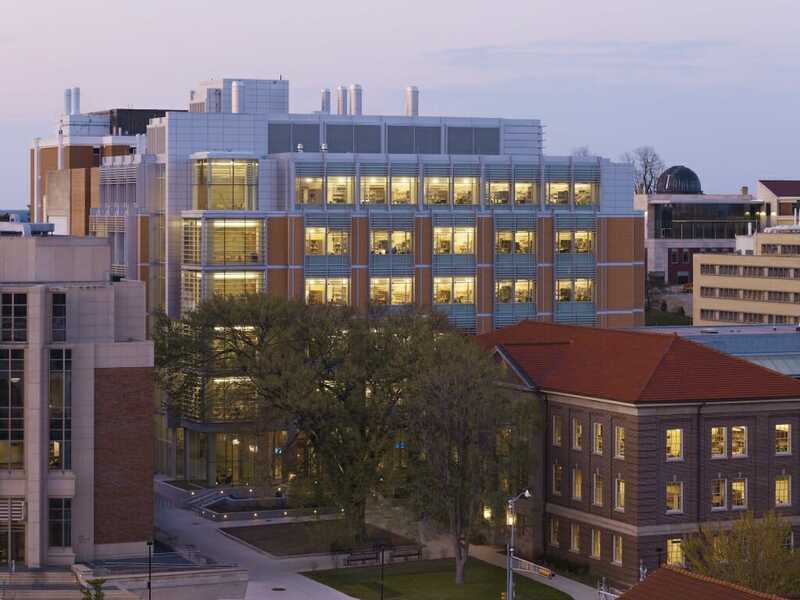 The University of Wisconsin–Madison campus is saying goodbye to a beloved natural landmark. An elm tree that has stood for more than 100 years fell victim to Dutch elm disease and is in the process of being removed from the Hector F. DeLuca (HFD) Biochemical Sciences Complex by UW–Madison grounds staff. 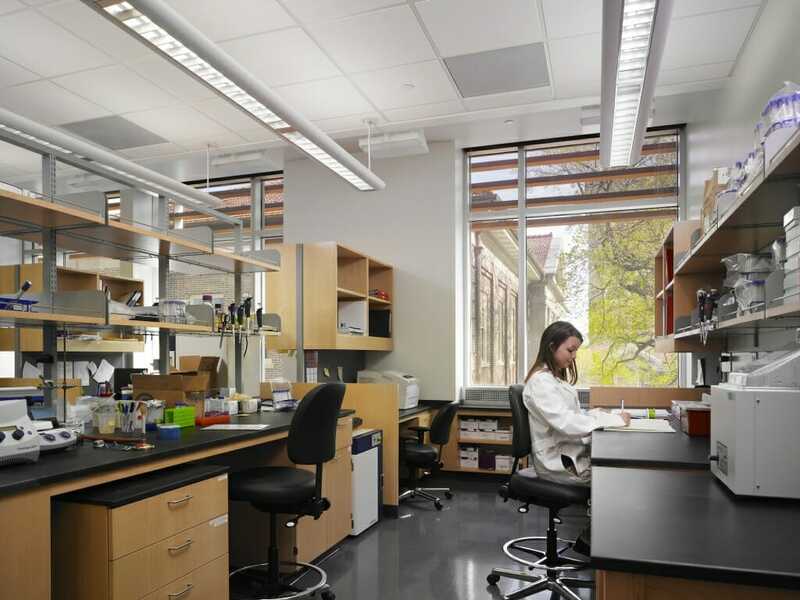 The tree – often known informally as Elmer – has a rich past with the Department of Biochemistry and surrounding departments in the College of Agricultural and Life Sciences (CALS), such as the Department of Horticulture. 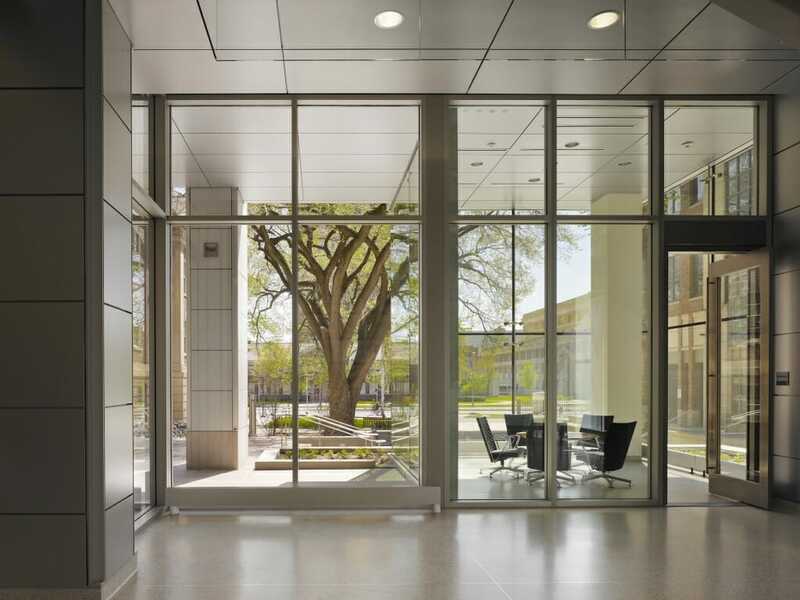 Thousands of students who have taken biochemistry courses or frequented that area of campus have gazed up at the old elm or enjoyed breaks in the shade it provided. 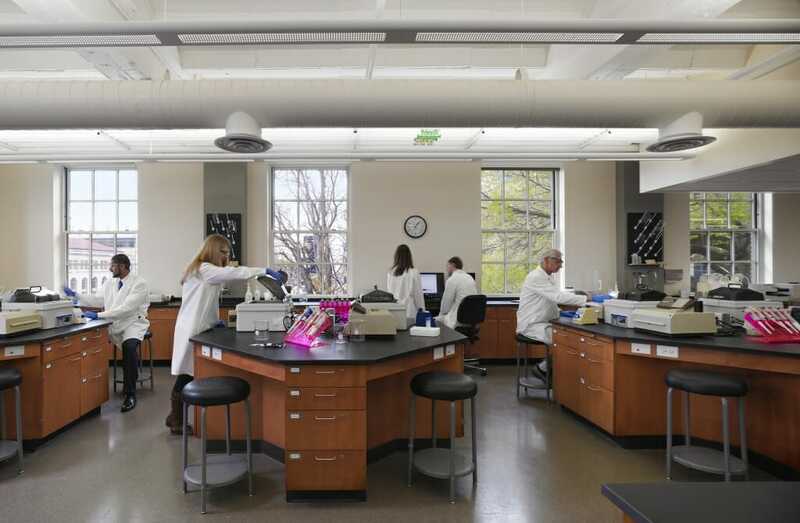 Many staff members and scientists on the upper floors of labs or offices overlooking Elmer have spent decades watching the seasons through the tree – leaves falling in autumn, snow coating its sturdy branches, leaves returning in spring. They’ve watched birds come and go, including famed campus hawks, and some students say finches, perched among Elmer’s limbs, watched them work in lab. 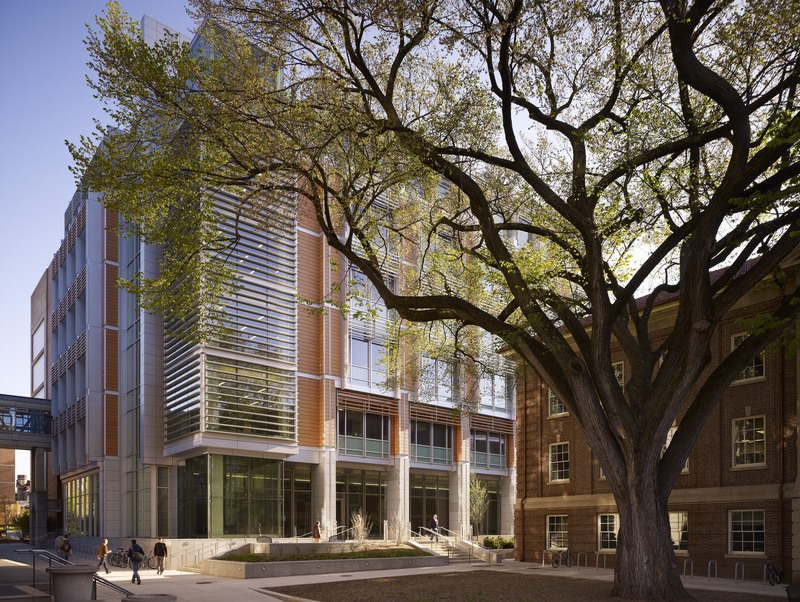 When construction on buildings in the HFD Biochemical Sciences Complex took place in the late 1990s and again in 2012, crews took extreme care not to disturb the tree to which so many students, faculty, and staff had become attached. 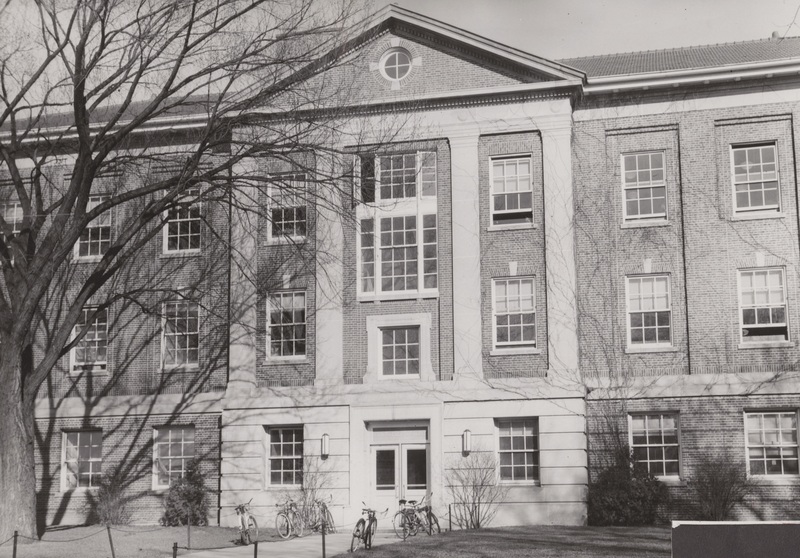 Elmer dates back to a time well before the HFD Biochemistry Laboratories, when the area was covered with greenhouses, says Horticulture Chair Irwin Goldman. For decades, the tree was used as a teaching tool and was even a stop on a campus tree walk for students. Laura Jull, associate professor of horticulture and UW Extension specialist in woody ornamental horticulture, was the most recent faculty member to use the tree to teach her class on woody plants. Jull points out that its loss is also an environmental one. In addition to providing habitat, the shade Elmer created helped keep the space around it and the surrounding buildings cooler. The American elm is a historic tree in the Midwestern United States, Goldman explains. One hundred years ago, landscapers and city planners planted them to line streets and boulevards because they grew quickly, lived long, and their vase-shaped forms made for beautiful canopies. But then, in the middle of the 20th century, Dutch elm disease began to kill them off. The disease is caused by fungus, spread by elm bark beetles as they burrow into the trees to breed. It can also spread between trees if their roots come into contact and fuse, or through human activity. Some American elms can still be found on Bascom Hill, though those remaining are being treated to help prevent Dutch elm disease. “It’s just a reminder that everything is ephemeral and there’s a cycling,” Goldman says. 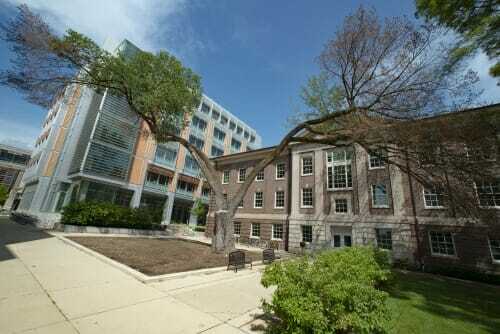 Biochemistry and Horticulture are confirming plans to obtain pieces of the tree to memorialize it. Possibilities include ornate furniture and cross-sections used as teaching tools. Now that cross-sections of the tree are available, Amasino says its growth rings will be counted to get a better estimate of Elmer’s age. 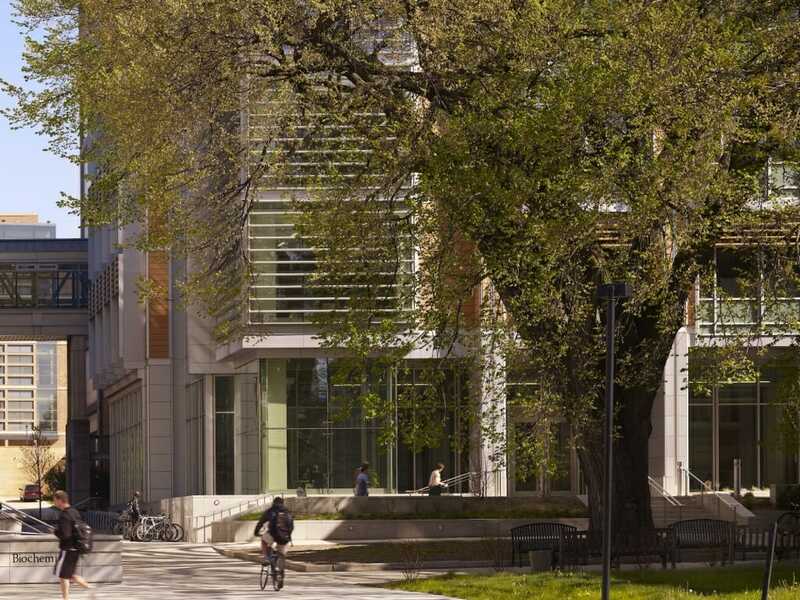 Researchers in the Department of Forest and Wildlife Ecology and Department of Plant Pathology have bred a number of disease resistant elms and have planted them in several areas around campus. However, there are no plans to plant one of these where Elmer stood. It’s risky to plant one in the diseased area, says UW–Madison Buildings and Grounds Superintendent Ellen Agnew, although there are plans to plant another tree there instead. For 20 years, grounds staff had worked hard to prevent Elmer from becoming infected with Dutch elm disease, injecting the tree with a product meant to thwart it. Later, Elmer was heavily pruned to try to save it, but recently it became clear it was time to remove the whole tree.